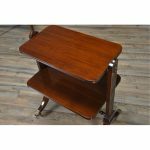 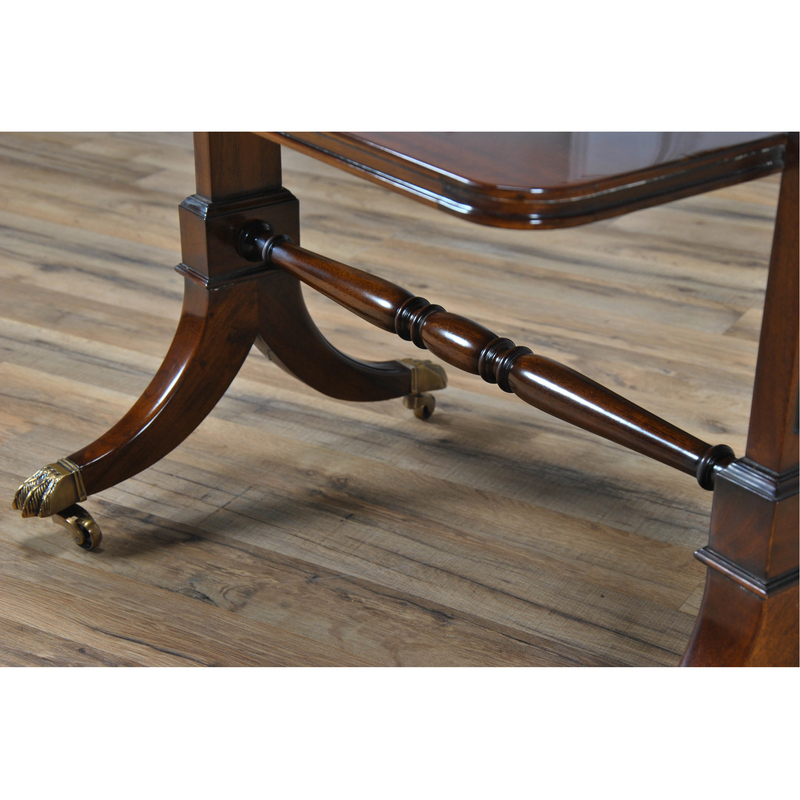 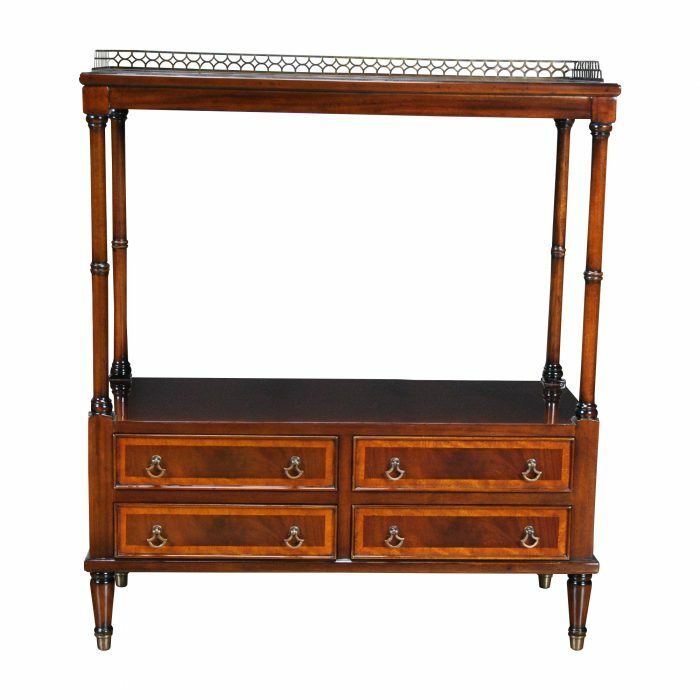 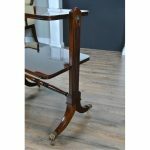 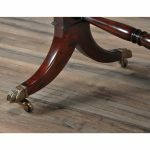 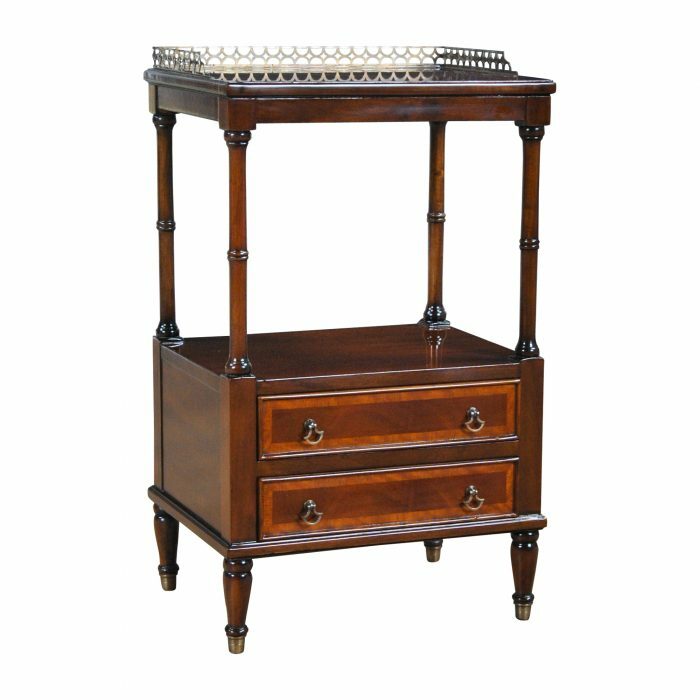 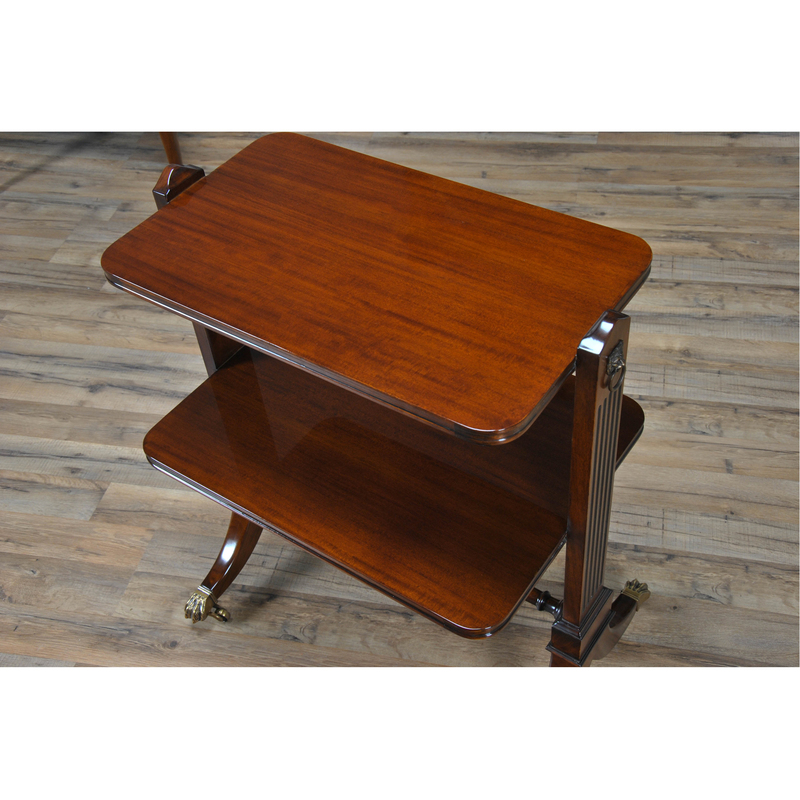 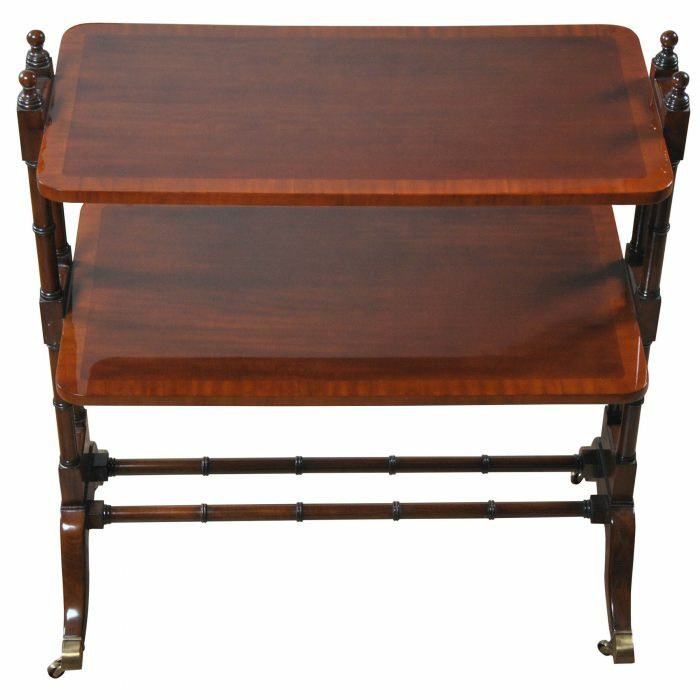 A smaller serving table this Two Tier Trolley from Niagara Furniture features a solid mahogany reeded frame on the ends with further supports that run horizontally to add strength. 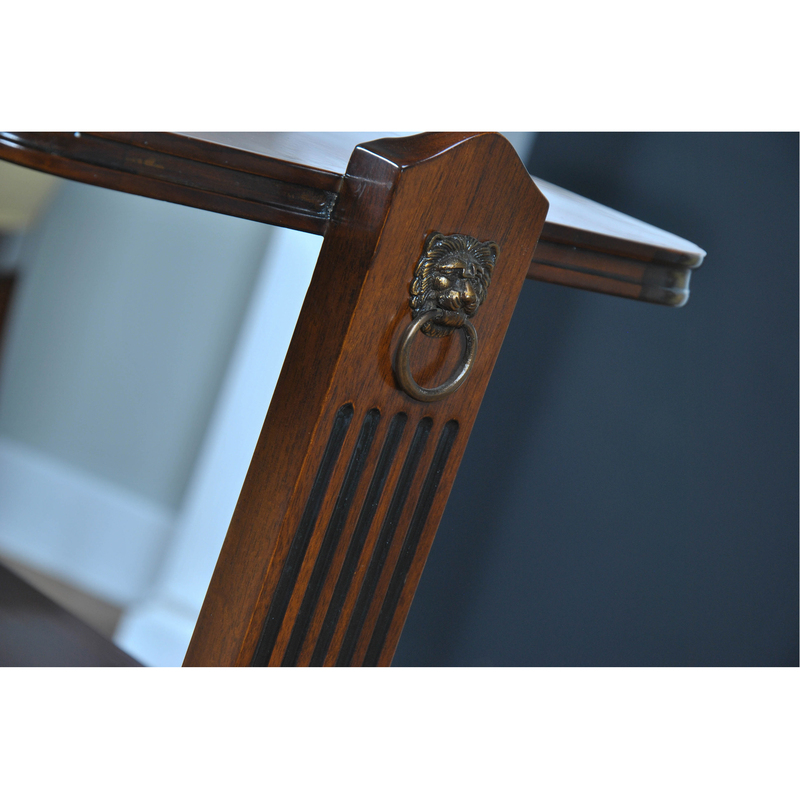 The lions mask hardware on the top and the brass capped wheeled feet give it a designer look. 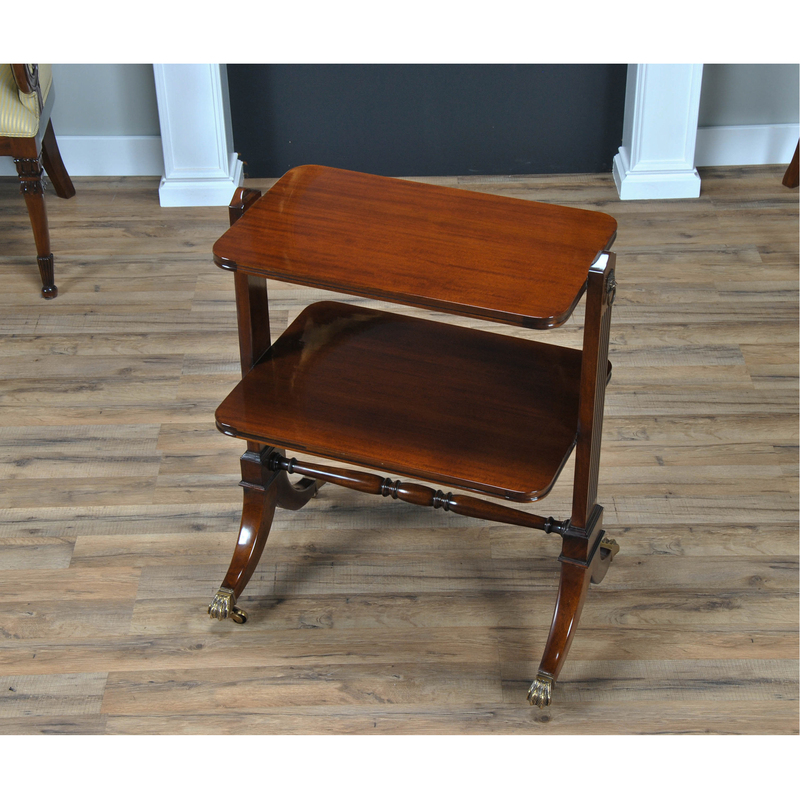 A lovely addition to any dining space load the Two Tier Trolley up with your favorite after dinner beverages and desserts. 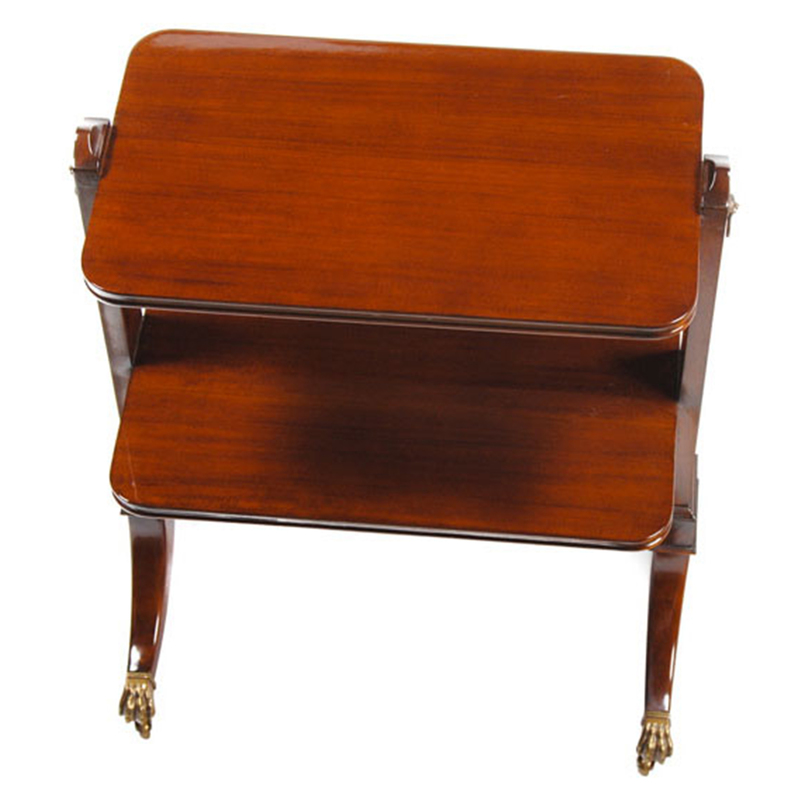 Often also be used as an end table.